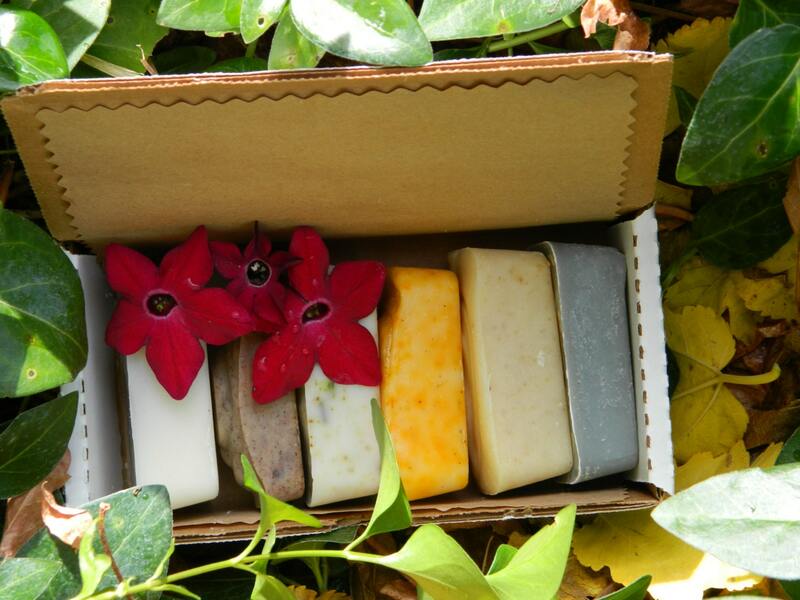 Pick any six of our all natural, hand crafted soaps. 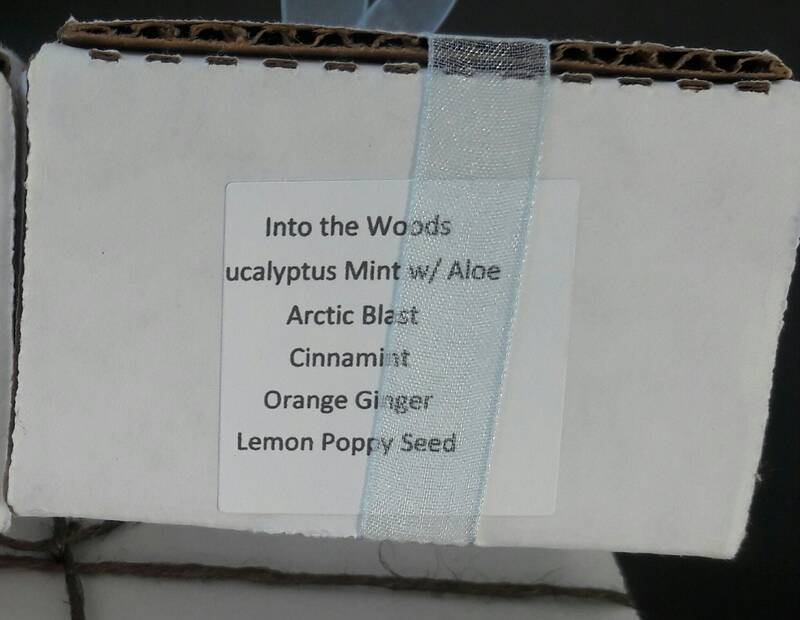 to create a custom spa gift. We will carefully wrap them in a lined gift box. 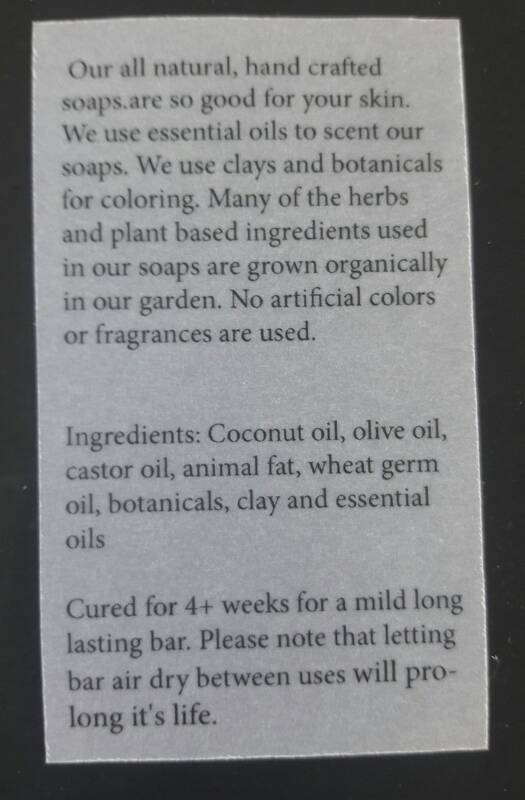 Include an information sheet about the care and craftsmanship that went into each bar, along with a label to let your recipient know what their gift box contains. Tie it all up with your choice of red, green, blue, black or natural ribbon for the perfect gift. 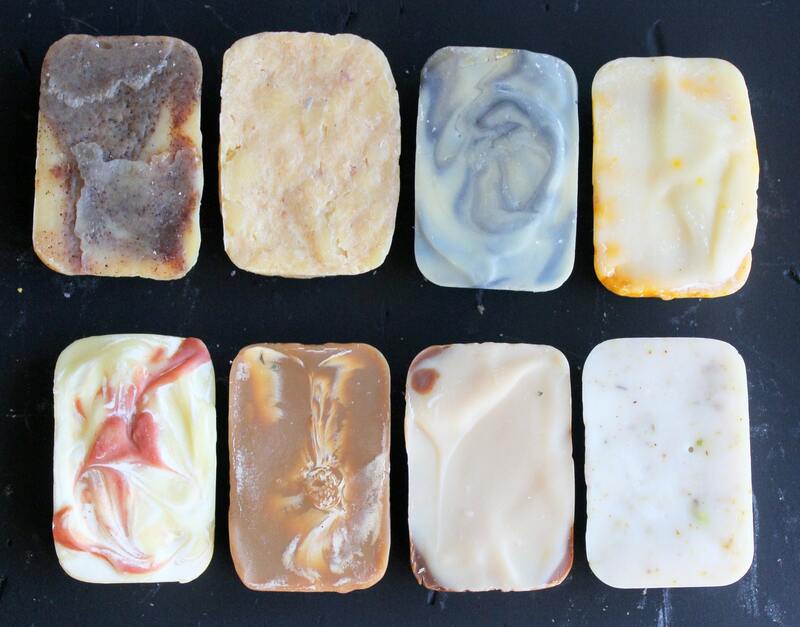 We use essential oils to scent our soaps. We use clays and botanicals for coloring. Many of the herbs and plant based ingredients used in our soaps are grown organically in our garden. No artificial colors or fragrances are used. A great way to try a variety of our bars. This also makes a great gift. Each sampler bar is approximately 2 oz. Due to the homemade nature each bar will differ slightly from picture as well as in size and weight. Cured for 4+ weeks for a mild long lasting bar. Please note that letting bar air dry between uses will prolong it's life. Stock up on birthday, Christmas, and hostess gifts. These make great stocking stuffers. Buying in bulk saves on shipping. I can ship up to three sampler packs for the same shipping cost of. Any shipping overages over one dollar will be refunded. I just love getting these pretty smelling packages in the mail. Thanks for going out of your way to make these gifts special. My friend received this as a gift and loved it!! Said it smelled amazing. Quick shipping - it was received really fast! This little fragrant bundle arrived faster than expected! 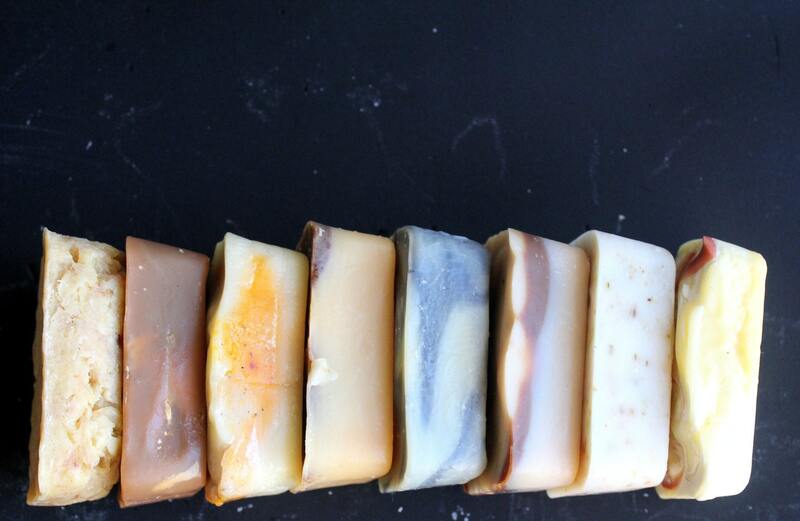 I love these soaps, can't say enough good things about them. Since using them the last 2 weeks I've cut back on my daily coconut oil moisturizer routine. Thanks Em! 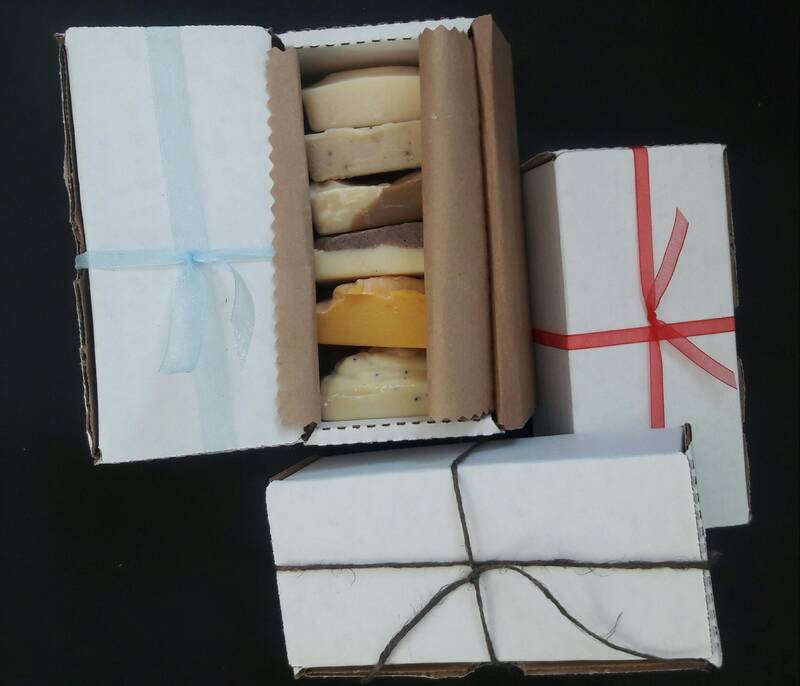 The soaps smell wonderful. They feel even better on my skin. Bought two sets, one for myself, one as a gift to my daughter. Will purchase more. They are lovely! Thrilled with the quality and craftsmanship that went into the making of this product. And they came tucked perfectly in a nice box. A perfect gift.